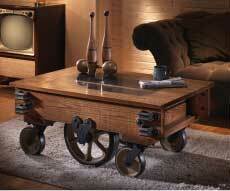 The Manliest Coffee Table Ever. On Casters. If shopping at Pottery Barn gives you the hives, we’ve got your industrial-chic needs covered. Unlike trendy imitations, our wooden coffee tables pack vintage flare with 2,200 lbs. of load-bearing capacity for your living room. And we’ve been building them since 1927. Intestinal bacteria. Sounds disgusting, right? You can’t see it, but it’s crawling all over your workplace. In a random survey of 90 offices in major cities, researchers found 549 different types of bacteria on everything from phones to chairs to desks. The majority of germs discovered came from human skin out of the nose, mouth and intestinal cavities. Others were brought in by employees. 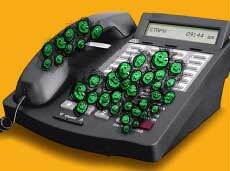 The dirtiest objects in the office? Chairs and phones, with computer mice, keyboards and desktops not far behind. Yuck. But before you whip out sanitary wipes, you probably won’t get sick unless you have a severely weak immune system, according to researchers. And although your office is likely filthy and teeming with microorganisms, note that Clorox partially funded the study. So take it for what you will. 1. 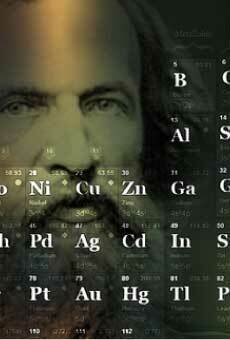 Periodic Table of Elements: Nearly every scientist and engineer depends on Russian chemist Dmitri Mendeleev’s 1894 invention. 2. Iron Smelting: Around 3500 B.C., ancient Egyptians discovered a way to process small amounts of iron to make ceremonial trinkets. 3. Glass: Iran is credited with developing one of the most important non-metals around 2200 B.C. 4. Modern Concrete: John Smeaton created the first form of modern concrete in 1775. It’s still used in most construction. 5. Crucible Steelmaking: This incredibly pliable metal was developed as early as 300 B.C. in India. We’re happy it was. 6. Copper Extracting and Casting: The process of extracting liquid copper from minerals like azurite and malachite, and casting it into different shapes, was discovered around 5000 B.C. in the area of modern Turkey. 7. X-Ray Diffraction: In 1912, Max von Laue created a method for characterizing crystal structures, which led to insight on the effects of crystal structures on material properties. 8. The Bessemer Process: Henry Bessemer invented the method for melting low-carbon steel using a bottom-blown acid process in 1896, which paved the way for mass production of cheap steel. A nightmare scenario: Your customer’s meatpacking factory runs on inferior casters. Uh oh. The wheels fail. Production stops. Replacements can’t be shipped for a week. Thousands of dollars lost. We’ve got a beef with that. Instead, introduce them to our legendary same/next-day shipping program that guarantees new (and more importantly, superior) wheels or casters sent as fast as humanly possible. Crisis averted. And we mean that. Over the past five months, we kept track of every caster shipped PRONTO. Our on-time delivery rate was 99%. 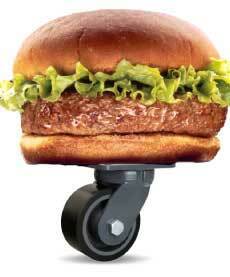 That’s out of thousands of casters and wheels we ship the same day if ordered before 12 p.m. But before we break out the booze, we need to hit 100%. We’re up for the challenge. Whether you’re a fan of round architecture or a sports guru (maybe both), we're sure you'll love this pong-pong paddle hotel. 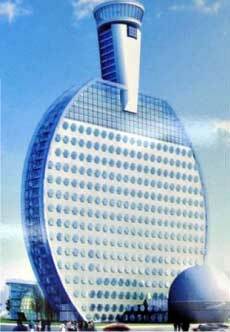 The massive, upside-down racket is part of a $45.8 million sports complex planned in the city of Huainan. Its handle, or observation deck, will allow tourists to view the city from 500 feet up. Rounded windows in each guestroom mimic the texture of a racket. And it’s not alone. Stadiums shaped like a football, soccer ball, basketball and volleyball are planned. For more, check out the China Daily. Mind Stuck in the Mud? 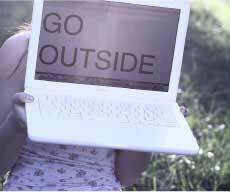 Go Outside. Brain fried? Take a walk in nature. After just a few minutes, you’ll be able to focus better, and you’ll be happier and more creative, according to new research published in the Wall Street Journal. The findings stem from research conducted by the University of Kansas and the nonprofit Outward Bound. As part of the study, the team gave creativity tests to hikers before and during a journey to determine the mental benefits of being outside. The results indicated that hikers showed a 50&http://beta.hamiltoncaster.com/News/Newsletters/The-Revolution-July-2012#37; increase in creativity during their journey, affirming that your brain hates being cooped up inside all day. So next time you’re feeling the pressure to make a big sale, take a second to get outside. You’ll be glad you did. We were. Web design by: Ideopia, Inc.